The clocks have sprung forward and the Easter bunny is on his way. Along with warmer weather, spring brings the fresh start of spring cleaning. This is the time when you tackle cleaning projects that are neglected throughout the year, like wiping down your walls and door knobs, dusting ignored nooks and crannies, and polishing furniture. We have a few more tasks to add to your list that you’ll want to work in your cleaning routine year-round, as well as information on when you’ll want to replace common items that you might not have realized have overstayed their welcome in your home. For most every day sheets and pillowcases, you should wash them in warm water, not hot. Hot water can shrink the fibers and lead to an uneven hem and wear out faster. If you have a higher-quality sheet such as those made from bamboo, you’ll want to wash on cold to avoid shrinking. When If you have patterned or colored sheets, turn the pillowcases inside-out before washing. You should be washing your sheets at the least every 2 weeks, your pillows every 3 months, and a duvet or comforter cover along with your sheets. The duvet itself could benefit from a monthly washing, following the directions on the tag. 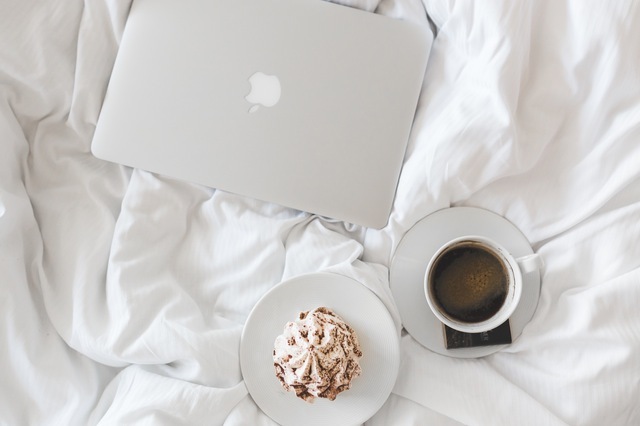 How often you should replace your bedding with new varies with many factors, including the quality of the product and how often you have washed, dried, and ironed them. With proper care, comforters can even last 15 or more years as they don’t support weight like pillows and mattresses do, although many choose to replace them sooner than this to redecorate or choose a higher-quality product – after all, the comforter you bought when you were 25 is probably not the same quality you would splurge on at 35! Some people will keep sheets for years until they’re well past their prime, but you should replace them once you start noticing any fraying or misshapen qualities. You probably won’t realize until you have new ones on the bed how threadbare the old ones actually were! Did you know that you should be replacing your kitchen towel every time you cook? Without noticing it, many cooks will wipe their hands on the kitchen towel while they’re cooking – before they have washed their hands. For the most sanitary kitchen, you’ll want to keep a separate towel for drying dishes from your hand towel, toss your kitchen towel in the wash when you finish cooking, and use paper towels to dry your hands after you wash them following any meat handling. As for bathroom towels and washcloths, they should be in your weekly wash along with those sheets. Some will wonder why you wash a towel so often that’s used to dry off your clean body, and the reason is simple: when you dry your body, you’re scraping off the dead skin cells. Plus, anytime something gets wet (such as your towel absorbing water) there is an opportunity for bacteria to grow. 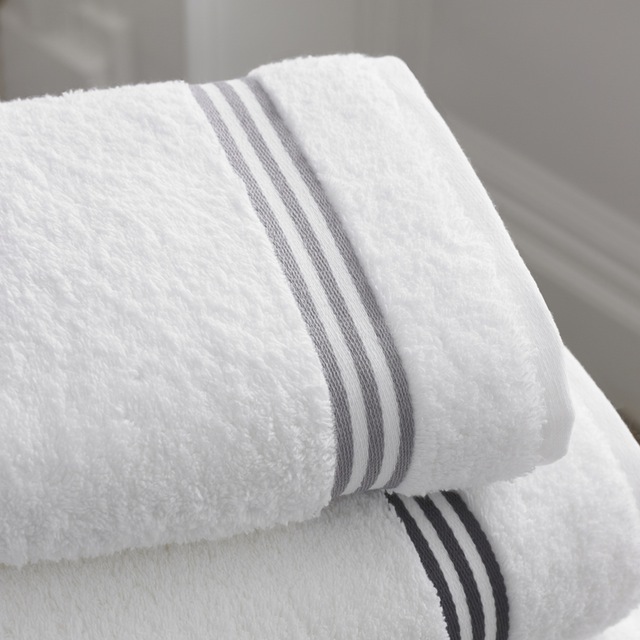 Worn out towels will not be able to dry very well, so it’s a good idea to replace your bath towels every couple of years. With towels that are used more often, like hand towels or those kitchen towels that are getting a daily washing, you’ll probably find that you need to replace them annually. When you’re ready to replace your towels, don’t just throw them out, though. Give a call to a local animal shelter instead. They’re usually happy to take old towels to make their cages a little more comfortable for their cats and dogs. While you’re at it, your bathmat gets about as much wear as your bath towels and should be replaced every two years along with the towels. Sometimes in your daily routine, you don’t really think about those items you use every morning, but most items need regular cleaning that you may be neglecting. Did you know you should be washing your makeup brushes at least monthly? Just make a solution of warm water and gentle shampoo to swirl them in and leave them to dry. Makeup brushes have a residue mix of makeup, oils, and skin cells that creates an ideal breeding ground for bacteria. You might even consider cleaning these bi-weekly if you wear contact lenses to prevent infections. Along with monthly washings, you’ll want to replace your makeup brush set every two years. Not only will this help keep you from spreading bacteria on your face, but it will help your powder makeup to last longer. Along with replacing makeup brushes, you should take stock of expiration dates of your makeup products – yes, they do expire. When makeup is expired it becomes destabilized, causing streaky application or again, bacteria formation. 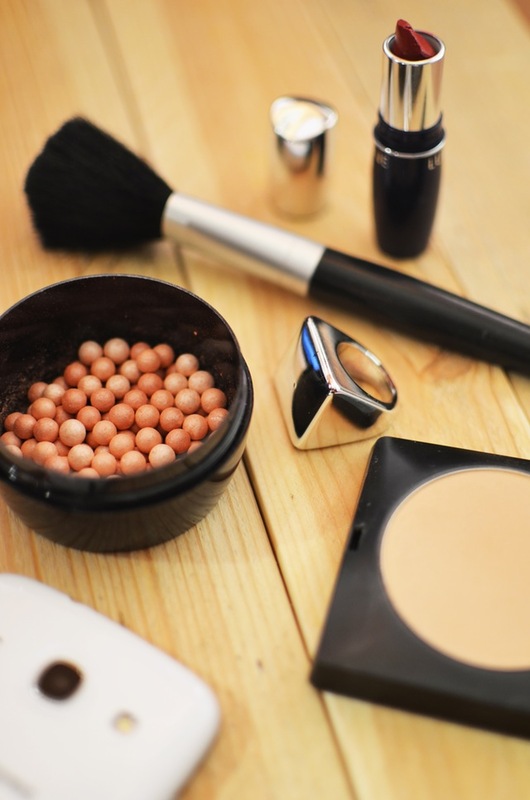 Powdered makeup can generally be kept every two years, while liquid foundation only lasts six months to a year, lip gloss lasts about 6 months, and mascara should only be kept for up to three months. Not only will replacing makeup and makeup brushes help you avoid harmful bacteria, but if you get into the habit of only using one product at a time until it is used instead of adding in new makeup, you’ll help your budget, too. Many of your cooking utensils are likely put through the dishwasher or hand-washed with every use. However, some items need a little more attention. Plastic cutting boards get grooves from knife cuts that can harbor bacteria, while the porous surface of wood cutting boards absorb materials. Wash with hot, soapy water and air dry. Wooden boards can benefit from a deep cleaning by sprinkling coarse salt on the board, scrub with half of a lemon (cut side down, squeezing some to release juices), let sit for 5 minutes, then scrape off the residue and rinse with cold water. Plastic cutting boards can be sanitized with a solution of one tablespoon liquid bleach to one gallon water (or one teaspoon bleach to a little more than 5 cups water). Let soak in the solution for 5 minutes, then rinse and air dry. It’s a good idea to deep clean or sanitize boards at least monthly. If there are deep cuts actual cracks in your cutting board, it’s time to replace it. If you haven’t been properly sanitizing your boards before, you might want to throw them out and start fresh. 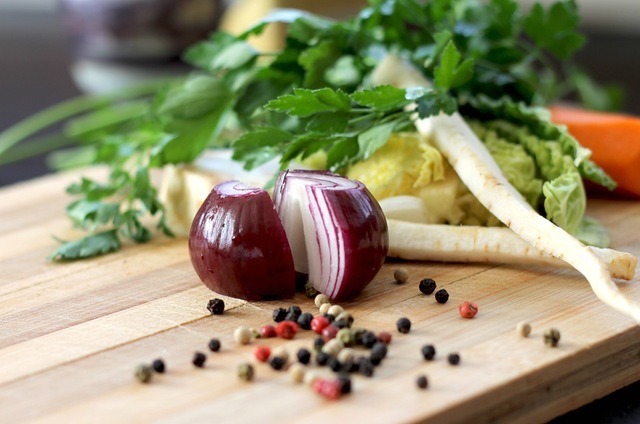 It is recommended that you have two cutting boards – one for produce, bread, and items that aren’t cooked, and a separate one for raw meat, poultry, and seafood preparation. Even when cleaned properly, this will help to cut down on cross-contamination in the kitchen. While you’re tossing that worn out cutting board, check your kitchen for other items that need to be replaced. Any nonstick-coated pans with any scratch needs to be replaced, as damaged nonstick pans can release toxic fumes that can make you sick. If you have old plasticware, flip it over and check if it is “BPA free,” a common standard for today. If it doesn’t say this, toss it in the recycling bin. BPA can seep into your food and has been connected to a wide range of health problems, including cancer.